The Australian Rugby Women’s Sevens team, who came off successfully with a gold medal in the Women’s Sevens competition, were recently decorated with another award during the Australia Day honors list. The Order of Australia medals, were conferred on the World Series and Olympic champions for what was noted as their “services of sport.” This thus saw the team end the past twelve months on a triumphant note. 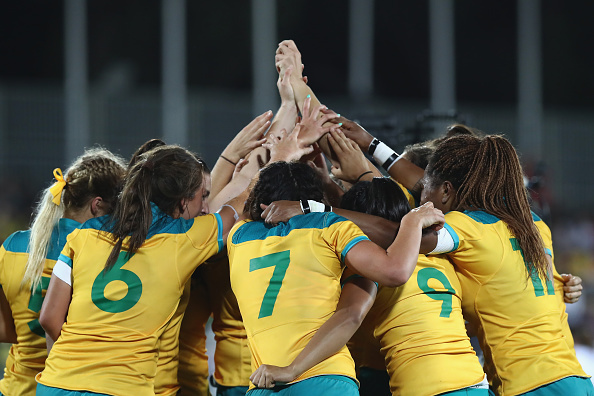 In May they become the first Australian Rugby squad – men and women– to take home the Sevens series championship. With this win, they put an end to a three-year consecutive hold onto the title by their New Zealand counterparts. A few months later, they were once again in another match with the Black Ferns, one that saw the Australians come off with a 24-17 win in the inaugural Olympic finals of last year. They therefore went home with a gold medal. “We’re really proud we can, in our own way, have this recognition and give something back to the community and share in that same passion and love of sport that all Australians do, so it’s a very special honour. For his “services to rugby union and to the promotion of social inclusion for LGBTI people,” Andrew Purchas, an LGBT advocate and Rugby pioneer had been awarded an Order of Australia medal. In addition, Phil Kearns, a former captain of the Wallabies was another sportsman granted recognition and named a Member of the Order of Australia. This was due to his selfless works of charity.